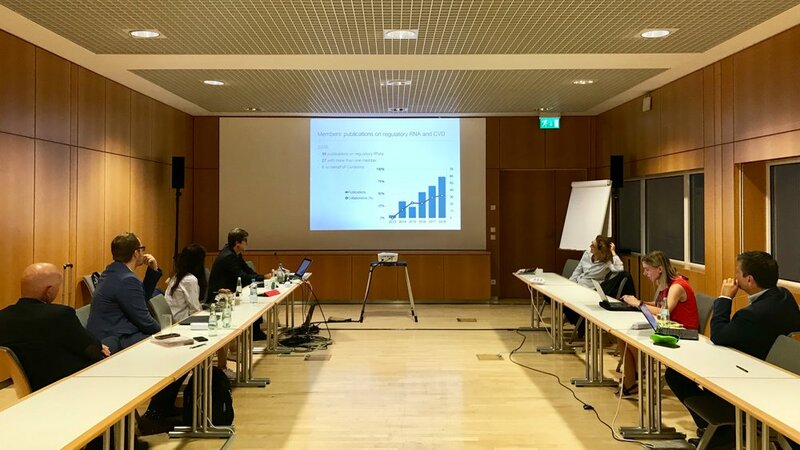 The Cardiolinc Annual Meeting 2018 was held in Munich during the European Society of Cardiology (ESC) Congress on August 28, 2018, and maintained the friendly and supportive atmosphere from previous years. The meeting was organized by Board Members Dr. Clarissa P. da C. Gomes and Dr. Yvan Devaux, who gave talks on important developments of the network. Dr. Gomes presented the acceptance of the COST Action CardioRNA, its current status, and the next steps. CardioRNA was proposed by many Cardiolinc members and it will start on October 3, 2018, during the 1st Management Committee Meeting organized by COST in Brussels. The talk was followed by Dr. Devaux’s presentation of the Cardiolinc highlights of 2018 and the possibilities and opportunities of Cardiolinc as a non-profit organization and the actions to develop the network. The Cardiolinc Board Members appreciate your participation and are looking forward to seeing you next year!